Jessie Long knew she made the right decision years ago. 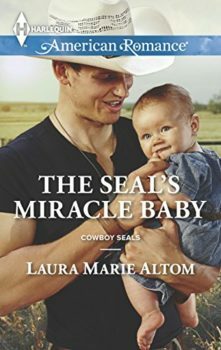 Grady Matthews wanted a ranch and a home full of kids, and she couldn’t give him that. So she cut him loose for his own good. They went their separate ways—Grady left to join the Navy and Jessie stayed home. Now a deadly twister has flattened their hometown, and it’s brought them back together—and back to square one. The passion’s still there, and the easy understanding. Even the way they care for the orphaned baby found in the aftermath just seems to fit. For Grady, that’s enough. He’s sure they can make a life together. But for Jessie, the secret that tore them apart is still hiding under the surface. And she can’t face losing Grady a second time.